Many previous studies have suggested the association between wine and type 2 diabetes risk. New studies have shown that wine does play a role and it might be because of the compounds that are found in grapes. Previous studies seem to note that moderate alcohol drinkers may have lower type 2 diabetes risk because they tend to follow a healthier lifestyle as well as are more dedicated to regular exercise. But a study made by a team of researchers at Wageningen University in the Netherlands may show just how big of a role wine may play. The study involved analysis of the data derived from Dutch European Prospective Investigation into Cancer and Nutrition (EPIC-NL) which is a larger health study composed of more than 520,000 people in 10 European countries. The team of researchers chose data from 35,625 adult subjects considered to belong in the lower risk scale of developing type 2 diabetes as well as heart disease. According to the Dietary Approaches to Stop Hypertension (DASH) protocols, risk lowering factors included optimal weight, regular exercise for 30 minutes or more daily, a healthy diet and not smoking. The DASH diet include focus on sodium reduction as well as eating more grains, fruits and vegetables. Moderate drinking is allowed at either 1.5 ounces of 80 proof spirits, a glass of wine or one 12-ounce can of beer a day for women while men are allowed two. The researchers analyzed 10 year’s worth of data which included 796 cases of type 2 diabetes. The researchers concluded that the lower risk of the said disease cannot be attributed to a healthier lifestyle alone. The researchers believe that alcohol may have contributed in part to the lower incidence of the disease. Another study may also show that alcohol in itself may not necessarily be the reason. Researchers from the University of Michigan suggested that eating grapes seem to slow down the development of high blood pressure and insulin resistance, two known precursors of type 2 diabetes and heart disease. 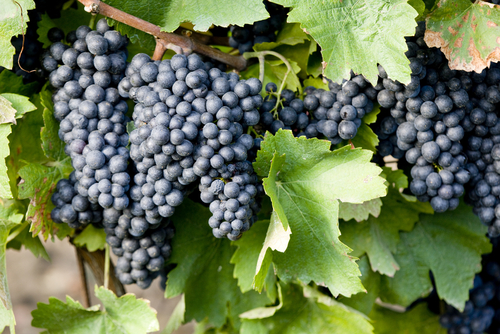 Researchers from Michigan fed powdered table grapes to rats. The results showed rats with less arterial inflammation and oxidative damage.